The Journal of Surveying Engineering basically covers the spectrum of surveying and mapping. The journal includes specific and traditional areas like construction/control surveys, photogrammetric mapping, engineering layout, deformation measurements, precise alignment, and boundary surveying. In addition, some of the newer developments of the field are also covered by the Journal of Surveying Engineering. For example, satellite positioning, spatial database design, quality assurance and information management of geographic information systems, computer applications involving modeling, digital mapping, cartographic representations, etc. can be given. This journal is published by the the American Society of Civil Engineers (ASCE). This journal promotes the implementation and development of space and aerospace technologies and their transfer to other civil engineering applications. The journal includes subjects: aerodynamics, computational fluid dynamics, wind tunnel testing of buildings and structures, aerospace structures and materials, advanced composite materials, dynamics and control, real-time data acquisition, space engineering and construction, lunar base construction, field and remote sensing, and robotics. The Journal of Construction Engineering and Management aims to publish papers on construction engineering, harmonize construction practices with design theories, and further education and research in construction engineering and management. Topics include, but are not limited to, the following: construction material handling, equipment, production planning, specifications, scheduling, estimating, cost control, quality control, labor productivity, inspection, contract administration, construction management, computer applications, and environmental concerns. The journal presents broad interdisciplinary information on the practice and status of research in environmental engineering science, systems engineering, and sanitation. This journal includes road and transportation related R&D academic papers and activities. Topics covered include: road engineering, bridge engineering, tunnel engineering, ITS and traffic engineering, automobile engineering, environmental engineering, and transport economics. The Journal of Urban Planning and Development covers the application of civil engineering to such aspects of urban planning as area-wide transportation, the coordination of planning and programming of public works and utilities, and the development and redevelopment of urban areas. Subjects include environmental assessment, aesthetic considerations, land use planning, underground utilities, infrastructure management, renewal legislation, transportation planning, and evaluation of the economic value of state parks. This is a peer reviewed journal that has been published since 1931. The journal includes research, theory, and practice of positioning and measurement, engineering surveying, castrate and land management, and spatial information management. The Indian Forester is a pioneer monthly journal in the field of forestry research and education. The journal always endeavour to provide the information regarding the latest research and developments on topical issues by bringing out special issues on topics such as Conservation, Eucalyptus, Earth summit, Wild life, Vegetative propagation, Biodiversity, Sustainable development, Teak, Wild life conservation, Neem, Agro-forestry, Participatory forestry management, Wild life protection, Environment, Poplar, Wood, Energy, Social forestry, Bamboo, Medical plants and Climate change. Journal of Marketing Research (JMR) is a bimonthly, peer-reviewed journal which covers a wide range of marketing research concepts, methods, and applications. JMR targets technically oriented research analysts, educators, and statisticians. The Journal of Highway and Transportation Research and Development includes road and transportation related R&D academic papers and activities. Topics covered include: road engineering, bridge engineering, tunnel engineering, ITS and traffic engineering, automobile engineering, environmental engineering, and transport economics. The journal includes the latest practical and theoretical achievements and in-depth features as well as news and product roundups. 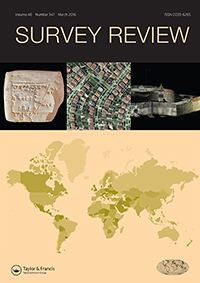 This online edition features select papers translated into English and released quarterly.